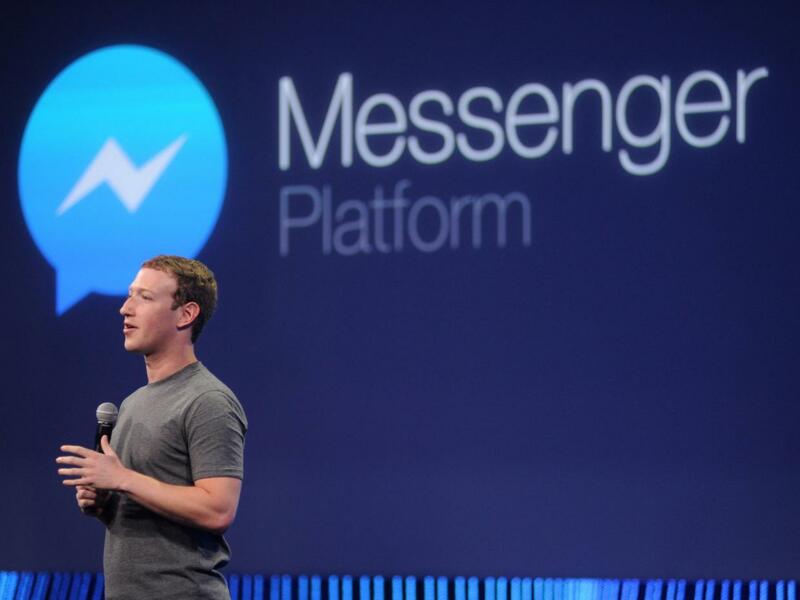 Facebook recently announced a Bot platform for it’s Messenger which provides businesses and individuals another way to communicate with people. When I heard of it, my very first thought was to a bot in PHP. I started to find some SDK in this regard released by Facebook but none was present. I headed over to documentation which provided good information for starters. 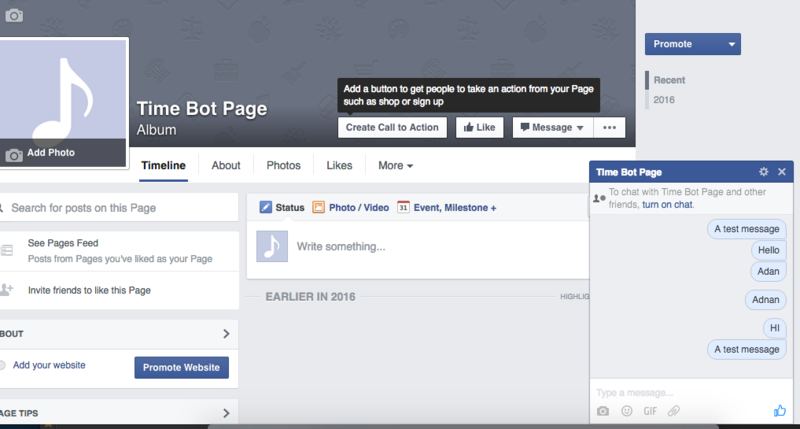 In order to create an Fb bot you will need two things to host your bot: A Facebook Page which will be like Home of Bot, People will visit the page, click on Message option to Interact with your bot. For example, suppose Pizza Hut introduce a bot for order related operations. What could they do that they integrate or host their bot on their official page, a fan can just click on Message button and send messages to order a Pizza, get new deals etc and they will get messages as if some human representatives is responding to them. It all depends how efficient a bot is. Facebook puts no limitation in this regard. I picked Entertainment option. In next steps it asks different options which you can always skip. Alright, go to https://developers.facebook.com/apps and click on Add a New App button. Make sure you have a developer account otherwise you will not be able to access developer dashboard. 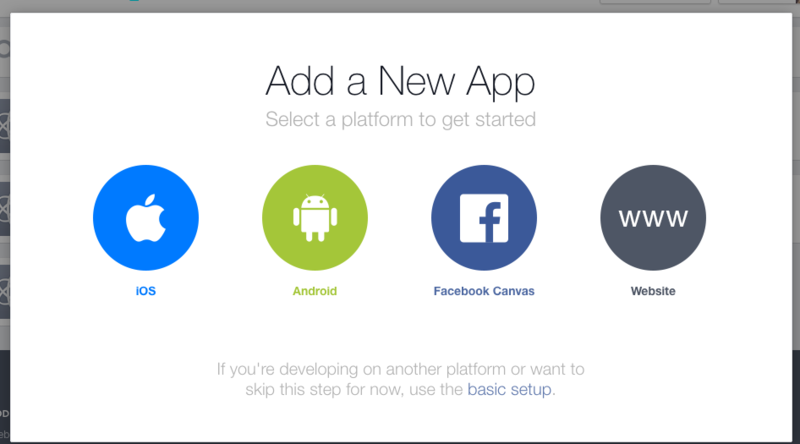 When you click on it it shows a window and asks you what kind of app are you going to make. I picked Basic Setup given at bottom. I entered required information; Display Name & Contact Email and hit Create App ID button. After Captcha you will be redirected to your App Page where you will be seeing details. On left side bar you will see an option of Messenger. When you click on it, it shows introduction of Messenger Platform and why and how these bots will be helpful. Click on Get Started and it will show a New Dashboard page related to your newly created app that’s going to be hooked with Messenger platform. Now we need to do a few things for setting up the bot. 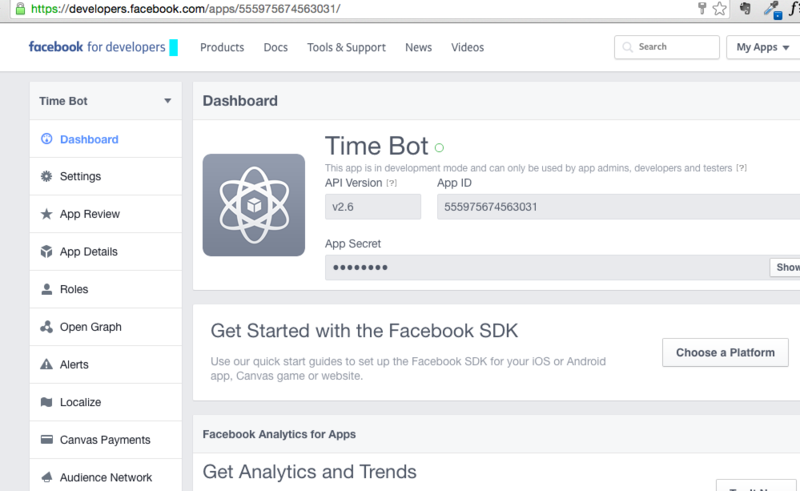 As you can see, you are being asked a few things; Access Token/Page Token so that Facebook can know where do you want to host bot, Webhooks, your script URL that will be receiving messages from your users and responding them. It will also be hold the logic of your bot and Permissions that is, what this bot should be able to perform when communicating with users. Ok first, set the page which you just created. 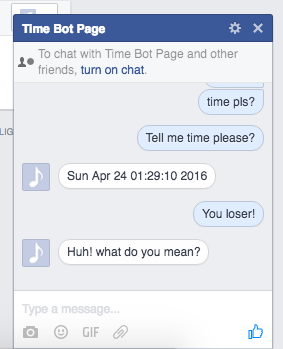 I am selecting TimBot. Since I, as a normal Facebook User going to use this page very first time, it will ask for Permissions as it normally asks. Once all goes well you would get your Page Token like this, save it somewhere as this will be used as access_token while sending messages. As you can see, it gives you two forwarded URLs. Since we re interested about https one so we will focus on that. nGrok also provides you an interface to view requests on your newly created domain. It will help you to debug how your webhook page is being accessed by Messenger Platform. For that purpose, open a separate tab with the URL http://localhost:4040/inspect/http and here you can see all details related to that request. Now I have the URL, all I have to do is to setup my Webhook for Time Bot. Click on Setup Webhooks option and you’d see something like that. What does it mean? Webhook when access the URL, it first verification token before doing anything further, if not present or incorrect, it gives the error you are seeing above. It’s time to open IDE and write some code. Create a file, in my case it’s index.php, in your case it could be any other file. Write the code that verify your Webhook. $verify_token holds the value you in Verify Token field. Now all seems set. How about we test our Webhook by sending message to our bot. 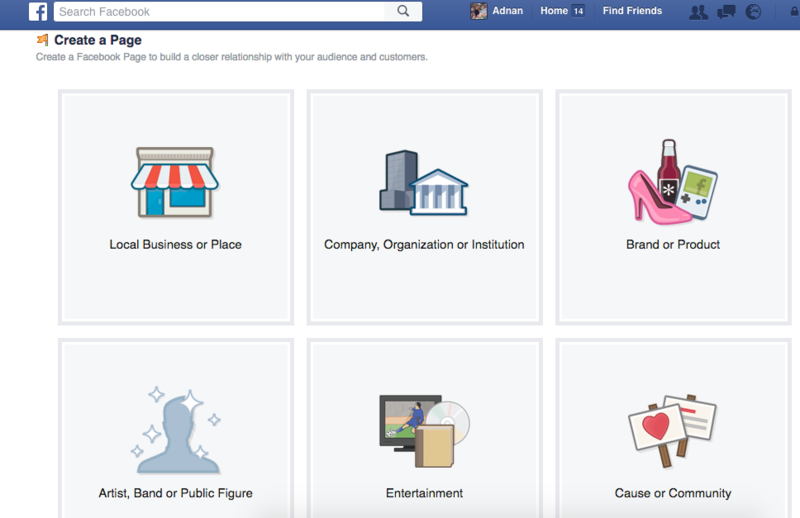 Before you start sending/receiving messages, you need to subscribe your page. Go to Command prompt, assuming cURL is installed,run the following command. Now go to your bot page and send message. Now you will know the power of nGrok Web Interface, here we are receiving message from Bot in a structure. In next step we will convert this message structure by decoding JSON into array and fetch sender Id and message. First line using to get message from Facebook and then convert the JSON into PHP Associative Array. In next couple of lines I am getting senderID, the ID of the person messaging to bot and the message itself. This issue arises if you are using PHP5.6. The best bet to create an .htaccess file with the content. Now the error should be gone away. This particular will not go away by using ini_set(). I am setting some basic rules for my bot. It should only tell if it contains certain words. Jus to check all going well, the message going to be printed should be able to watch on nGrok debugger. Ok, now we have to message back to user. We have sender’s Id, we prepared the message, it’s time to send. First, we will create a JSON structure of the message as given by Facebook platform and then will make POST call via cURL. If all things coded correctly, you should see bot in action! As you can see it covers bot valid and invalid messages here as per our rules. Alright! It’s your time to show your creativity and create your first awesome bot. if you bot goes public you can add a little code on your Website to invite others. Check the documentation for that. Thanks for sharing! Really useful! Have discover about nGrok to test my bot out until I get my SSL! This article is brilliant! Brilliant tutorial bro! I am still learning to program but with this, I can still create something. Well done and keep up the great work! Hello, i have tried your code, i am not getting error but i am not getting response message from bot. if i print my $message_to_reply is ok, but i can’t get the reply message on messenger. Any idea can you suggest? I’m getting unexpected end of JSON input.Would you please tell me how to remove it? bot doesn’t reply. sender and messages are empty.can you help me. what should I do with the index.php to verify the webhook? Upload the somewhere? Succeeded until setting up the webhook and getting request hits on nGROK. But I am not sure where the input message is to be processed. Should we decode the JSON in the index.php that we already created? Thanks for taking the time to share your tutorial. I am wondering if you know if there is a way to trigger messages based on proximity. Either if they cross into a proximity with their device it activates a bot message or if when they interact with a bot it can know where they are at the time of asking the bot a question it could pull from an answer based on their proximity. No I have no idea. If Fb messenger’s Location provide facility then sure! Nice tutorial, I tried to set up a simple bot following it. I can get the messages typed in Messenger but I cannot reply automatically. I cannot find much documentation about this error message, any idea? You tutorial is awesome !! So I created a MAMP Server on my MAC and created the index.php file on it with the code you provided. I updated the access Token & Verify Token in it. But I still can pass throught the Setup Webhooks, I still have the same error. If NGrok is a server ? If yes where do I put my file ? nGrok is providing tunnel to let your request broadcast to outerworld. For Ngrok you do need a local server anyway. You did not tell what kind of error? Easy enough explanation and very detailed. I appreciate your help. Can we connect the bot on website page? If yes how, if not why not? Yes you can add a button on your website which will let your users to connect with your bots. Check the documentation. However the ID provided by the first query is not the profile ID. How would you modify your code to get the user’s first name in this case? I would recommend you to use php library like Pimax for writing bots. They do provide the way to query a profile. Hi, first of all, thanks a lot for this tutorial. Really simple to understand. I was having some issues which I think others might also have so I am sharing my solution. My problem was that everything looked to be fine but I was not getting any message back. Ngrok was reporting 200 OK status so I was clueless as to what was going on. Thanks for this, it resolved my issue which I couldn’t figure out. I’m hosting my PHP file on a server domain with an SSL certifcate but it still wasn’t working. Do you know why that might be? Thank you so much for this tip! I was about the get crazy, because the replies wouldn’t work. Yes thanks so much. It was starting to drive me crazy as well. Thanks Musab for your kind words. I guess it is because I first wrote and test code and then put it up. Thank you so much Yak and admin. Excelent solutions! “The URL couldn’t be validated. Response does not match challenge, expected value=”1394911209”, received=’$access_token = “EAAPBj…'”. would you please have a look? Is there any other required script? 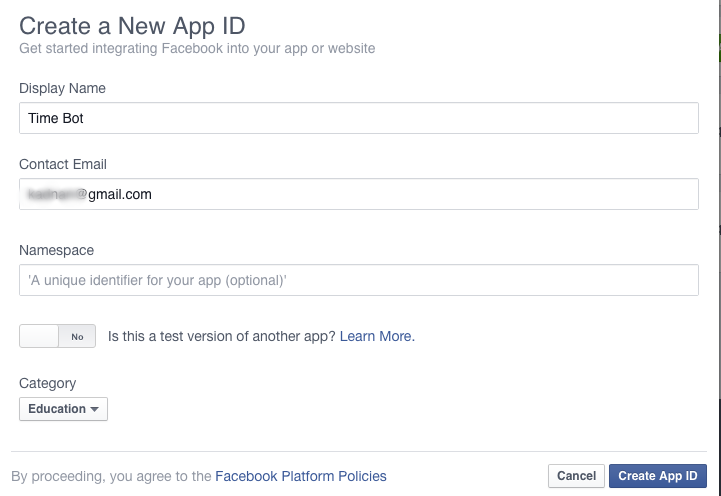 Did you set Verify Token on Facebook? I also got same error. Please help me the same. I can receive messages, but can’t reply… the result of the CURL execution is 1. But there is no response from the bot… How can I check if the CURL is working? I followed all the step successfully until step 3. “Step 3: Sending and Receiving Messages”. I sent a message via curl and it was also succeeded. but after that i am failed here. when I send message to my bot through my page nGork web interface doesn’t show it. where am I got wrong? looks like the problem was with the account I used to send the message. It was not my own account. When I send the message using my own facebook account there is no problem. then the next problem is how do I allow other people to use this bot? Do I need to submit this app to facebook for reviewing or something like that ?? I see the input in ngrok – but no replies in the message. You must subscribe your page. I have already “Liked” my old page. But still facing same error. How do I subscribe the page ? 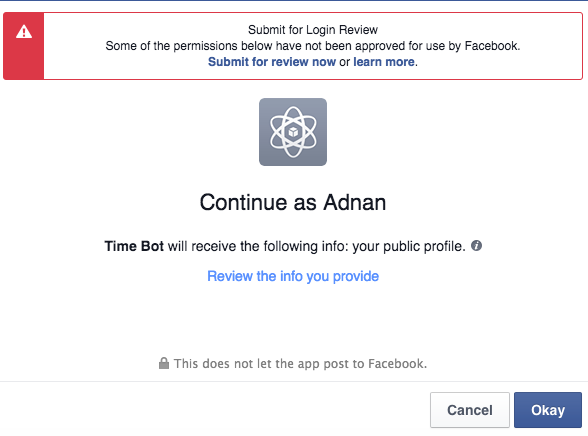 I subscribed my page (I can see it in Messenger -> Settings – > Subscribed pages) and response messages from bot are delivered to FB. So all is ok except this strange, not needed error message from FB. Do you know what could be the problem? in which IDE we write the code? hi do u have source code of this sample download ??? …. Github link given in the post at bottom. Im running php file on XAMPP 5.6.23 server and hosting server using ngrok. But from php its not executing and server doesn’t throw any error also. As mentioned above, am able to CURL from command line but doesn’t work from php file. I mean curl_exec($ch); isn’t executing. I am receiving messages but I am not able to send messages from bot. How can I debug the code? Great tutorial but how to secure web hooks on production? To allow only traffic from Facebook message to get processed? You may always implement some authentication scheme at your end. I can’t recommend referrer since bot scrapers can create a referrer while making an access. If bot has to send image in reply then how it will do ? can you help me in writing code for that in php .I have tried it using curl but instead of image bot shows image url from where bot has to fetch image. what to do help me out..! If I’m running on my remote server I have to run this command on it right? Sorry, I do not understand what you are trying to say. Right because Fb needs to know where it should send the message receive on the page. It’s just for the security purpose. I managed to solve, could you help me get a type postback event of a card that contains buttons? Hey man! Awesome tutorial, but… i can’t read the JSON. because your page is not subscribed. i am getting an error while creating a webhook for my chatbot. can you help to resolve this. Error is clear: your access token is either expired or changed. Create one and subscribe it first. Nice tutorial but I am facing an issue. The error is below that I got by enabling the debugging of curl. Fb needs a secure hook. First thanks for the tutorial! It really helped me and worked great. Is there anyway to create one app and users can connect it to their page without knowing code or use facebook deveolpers? I want to make something basic for pepole to add to their page without my help just with a small tutrial. I want to make it as automatic as possible. umm as far as I know, sorry, nope. 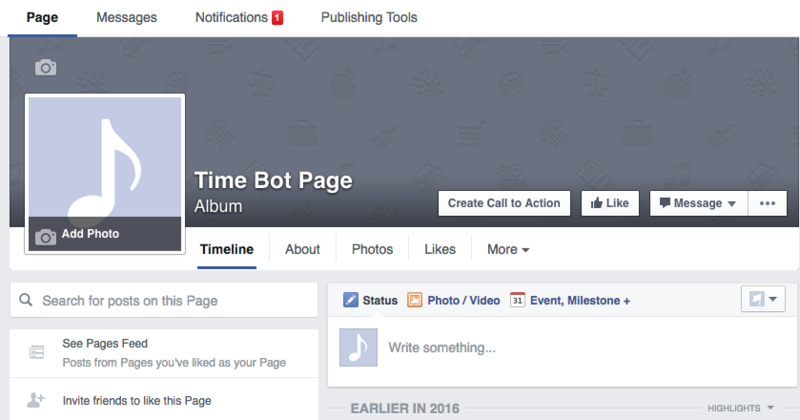 Yeah you can do one thing to become admin of those pages and automate. If you are on Windows you gotta use their Exe. Check ngroK docs. Great Article but i have a question, can I retrieve the user identity and answers whether video or voice, picture etc into my own application outside messenger so basically use it for chat and to feed my app with info that I will use outside Facebook. Great tutorial but I’m not getting “Facebook-chat-bot”, I don’t understand, did I missed something ? Where I can find a sample json file working with your code ? i followed your tutorial then downloaded your code ,everything looks fine ..but when it comes to responding to messages ..the bot won’t reply.. i don’t understand where might the problem be . knowing that i changed the access_token and the verif_token . Congrats! I still have no luck to get it working. Any tutorial on the payload? Would be able to do similar for MS Teams? I just need the SEND api part, but it didn’t work for me. Here is my PHP code. I tried second piece of code below.. copy and paste the URL into browser, but i got the follow error. Do I need to get approval from FB for the permission before I can send out messages?